Havana Road Cuban Café - I’ve been, I ate and now I have a Cuban accent. There are pluses and minuses for being self-employed and one of the pluses is being able to grab lunch with a friend and take as long as I want to enjoy the food and the company. Downtown Diane Macklin (@downtowndiane) wanted me to meet Marta Ines Quintana, the chef owner of Havana Road Cuban Café, enjoy her family fresh Cuban dishes and learn more about her Cuban retail products. 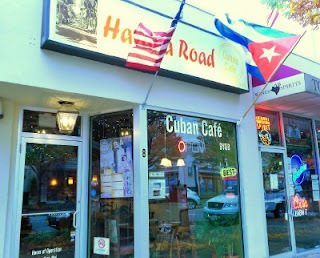 Havana Road Cuban Café (@Havana_Road) just celebrated its first year anniversary in the little cafe at 8 W. Pennsylvania Avenue where both lunch and dinner are served, catering and a burgeoning retail food business.